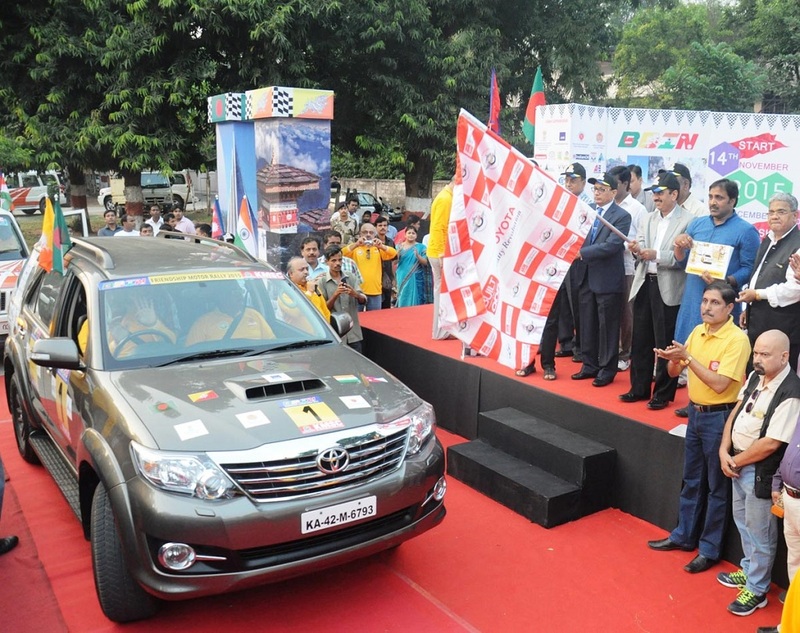 Toyota has made a mark in the Indian auto industry in different segments where it has not just been a leader, but has touched sales values more than the total competition basket. 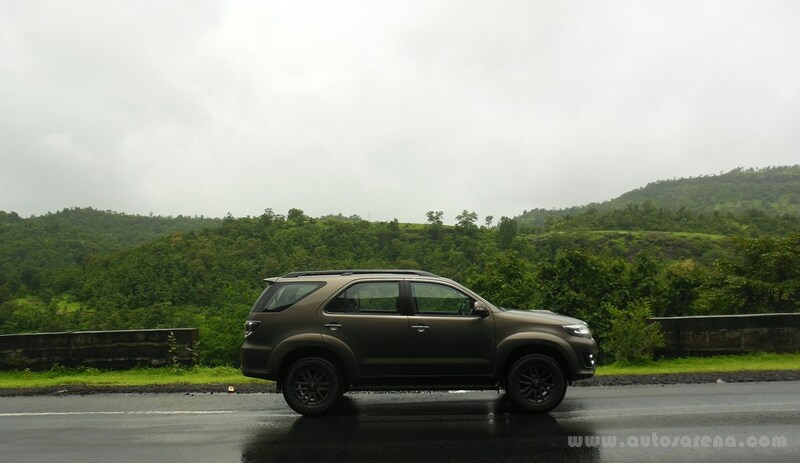 One such segment the company has been ruling since their entry is the premium SUVs based on ladder-on-frame. 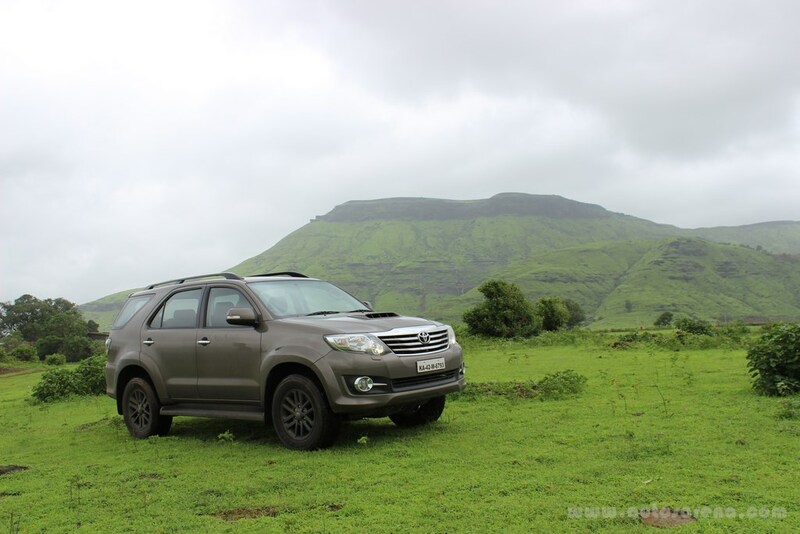 We are talking about the Fortuner, which has been Fortunate to hold on to it’s number one position since its first launch in the Indian market in the year 2009. The vehicle had underdone periodic upgrades and in December 2014 it’s maker re-introduced the SUV with new engine and transmission options to extend its reach to a larger customer base. 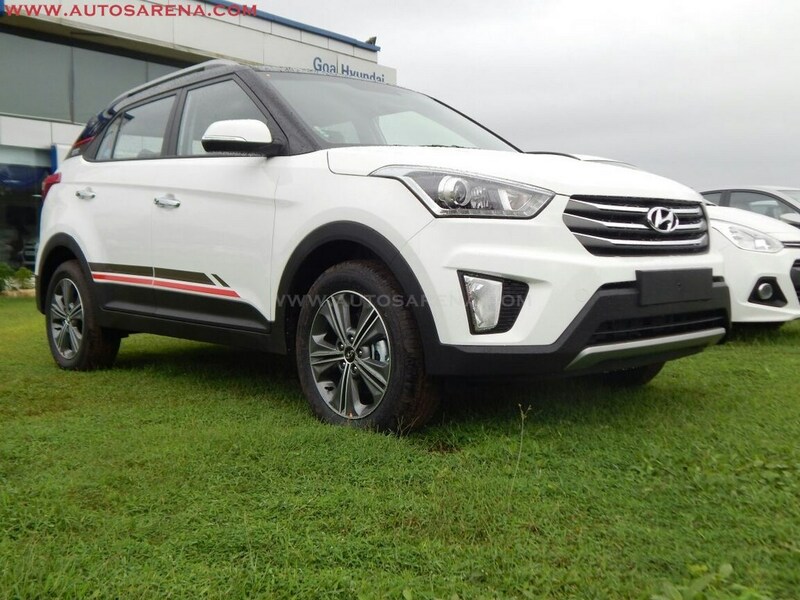 This SUV is now available with a choice of 2 diesel engines in manual and automatic, either of them having inbuilt 4×2 and 4×4 options. 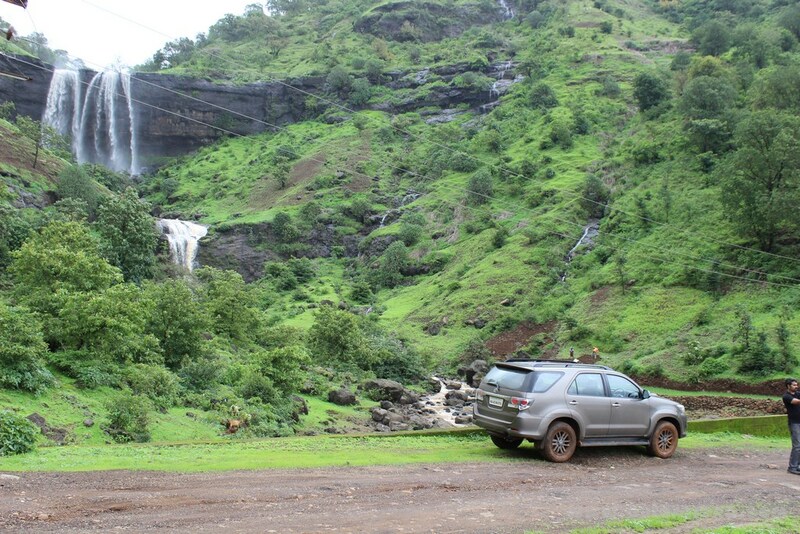 We test drove the Fortuner 4×4 Automatic and took a long route away from the city limits about 120 kms from Mumbai. Thanks to a chaiwala who guided us to a place which, very few must have explored. 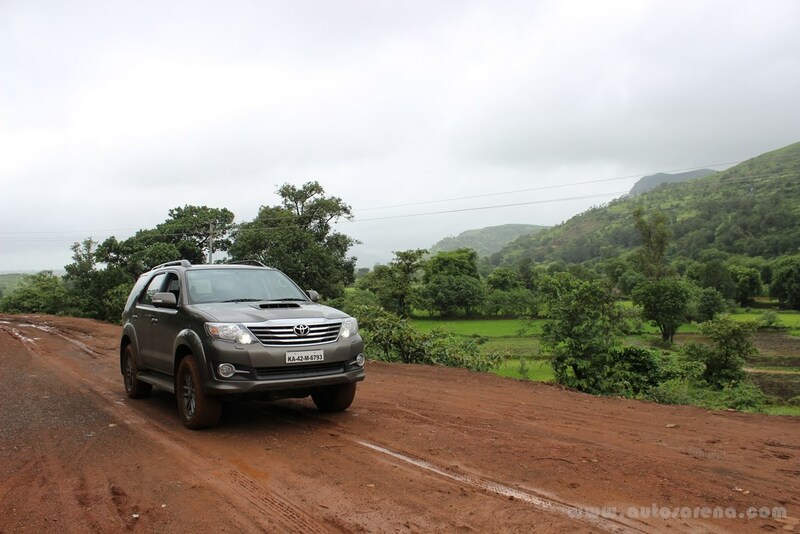 The terrain was just right to put the beast in test and we did get multiple opportunities to use the 4×4 and hence got a genuine insight of the feature. 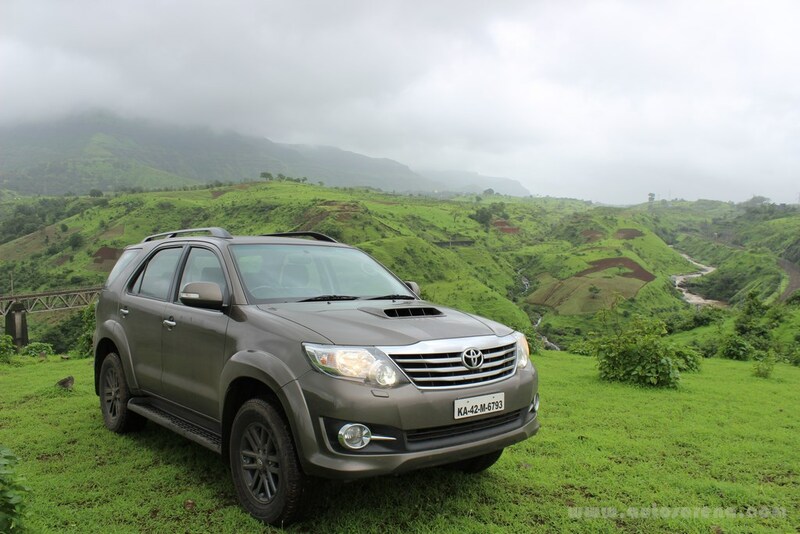 Toyota has maintained a butch and an aggressive front design for the Fortuner SUV since its early days. The massive chrome grille in the front and large headlamps add to the aggressive front stance. 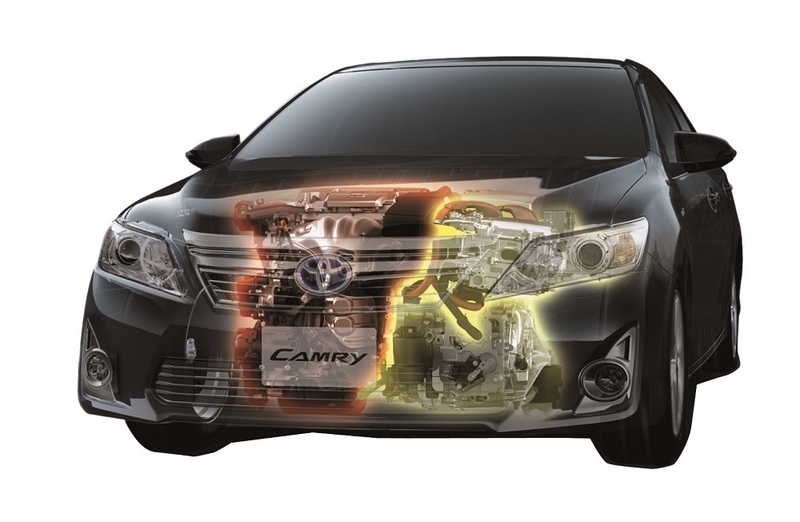 The 2015 model now gets smoke painted headlamps and Fog Lamps with Silver Bezel. 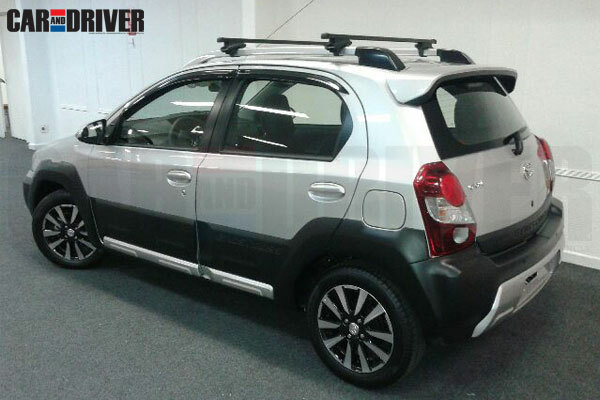 The smoked effect does give a sportier look and the with the TRD Sportivo kit, the SUV looks more captivating. On the side the new 12 spoke 17” dark grey alloy wheels does complement the SUVs appeal. The rear too gets smoked tail lamps and the chrome garnish with Fortuner embossing does give it premium look. 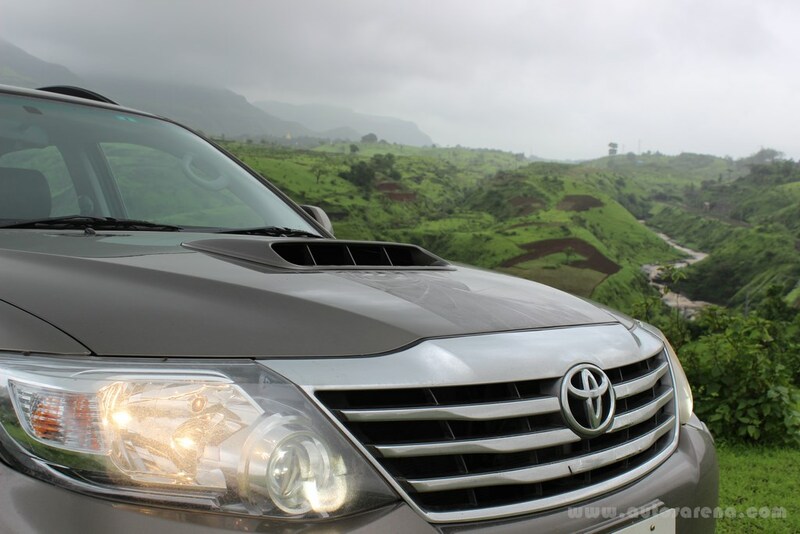 In terms of design the Fortuner is one of the most handsome SUVs in its class and has substantial road presence. The interiors are largely unchanged but the new Black dashboard gives the SUV a sporty this elegant appeal. The Black interiors with leather upholstery are available on the 3.0L 4×4 MT & AT only while the 2.5L continues to offer Sand beige interiors. 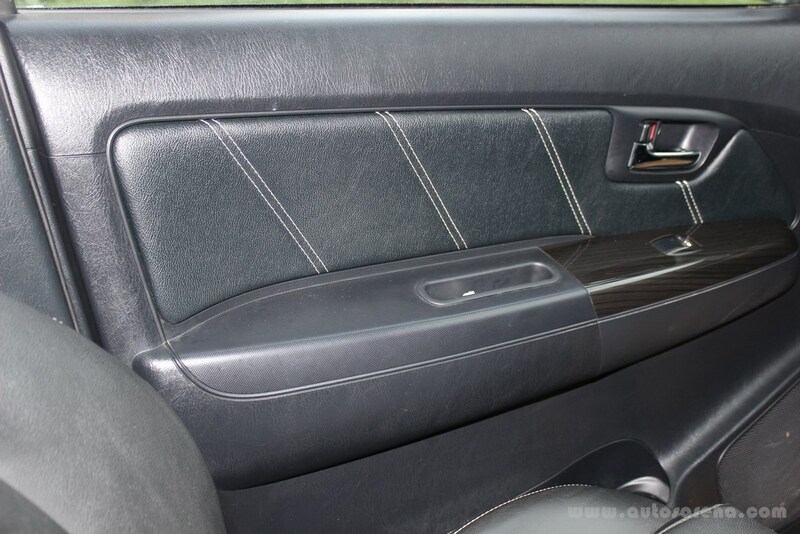 The door panel also gets leather with diagonal white stitching pattern. 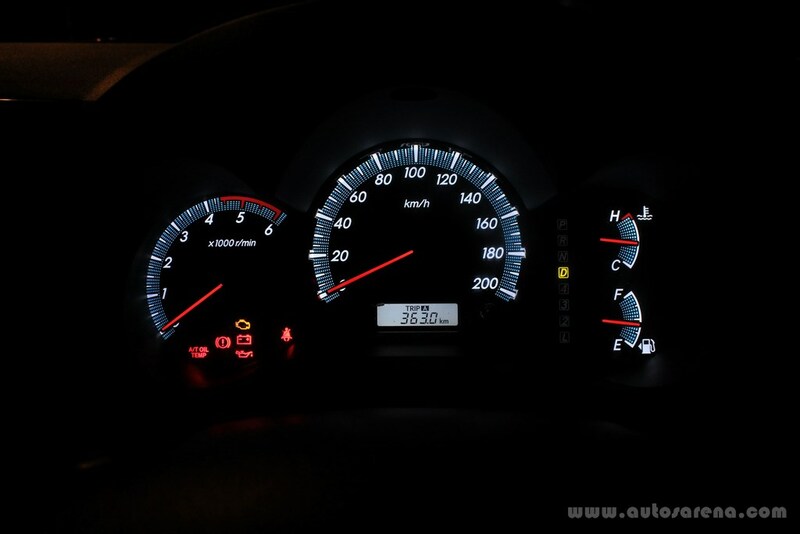 The dashboard design remains unchanged and centre console now gets a large LCD touch screen with Navigation. 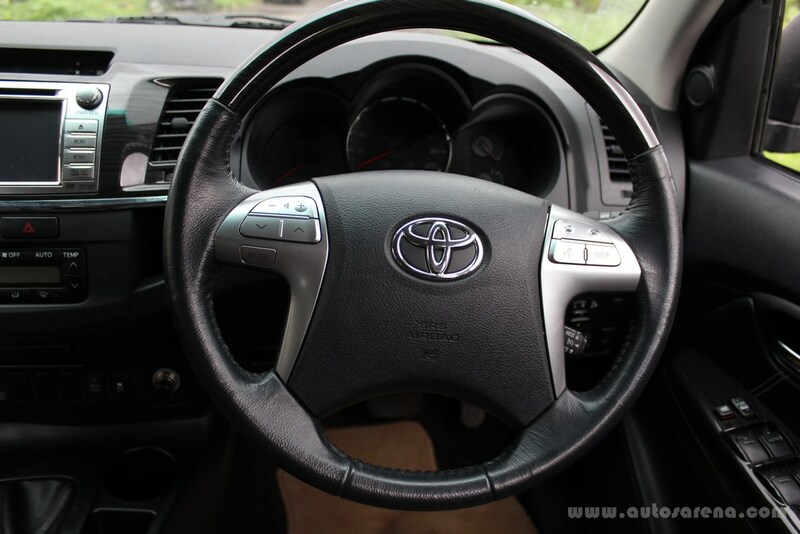 The leather wrapped steering wheel with wooden finish is pleasant to hold and offers a good grip. 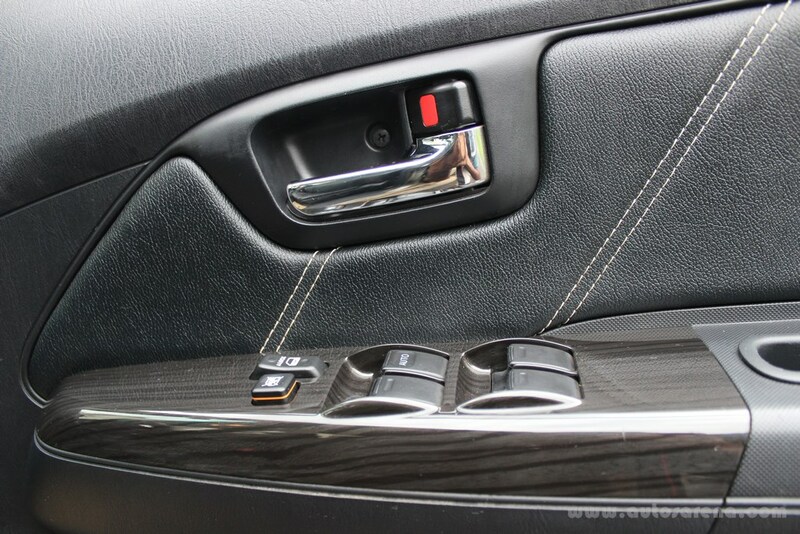 Faux wooden trimmings are added on the doors, steering wheel, gear knob and centre console complements the overall design. 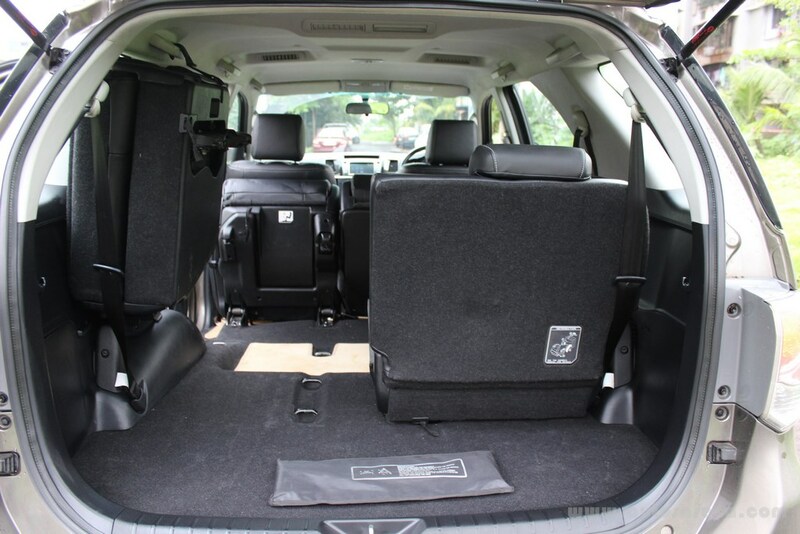 The interiors are spacious and the Fortuner allows 8 people took seat comfortably. 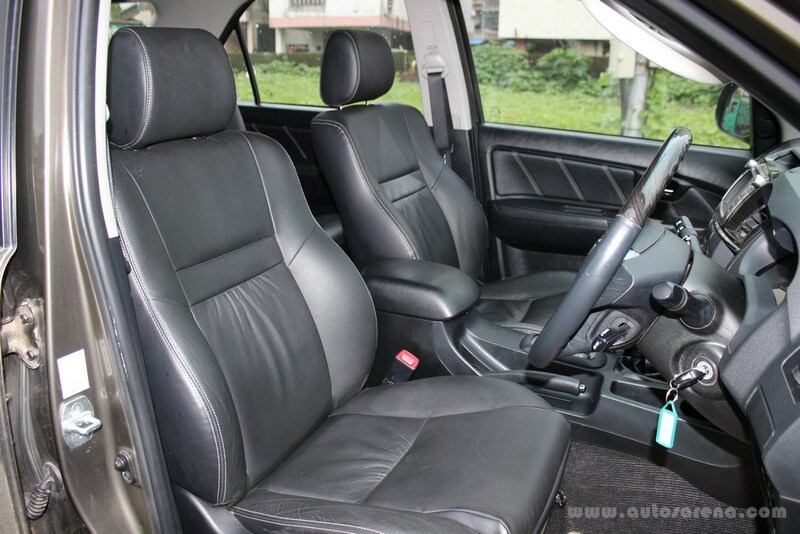 The captain seats on the Innova are solely missed, while the front seats are very comfortable. The large windows provides a good view and gives an airy feeling while seated inside. The driver seating is high which provides a good front view. 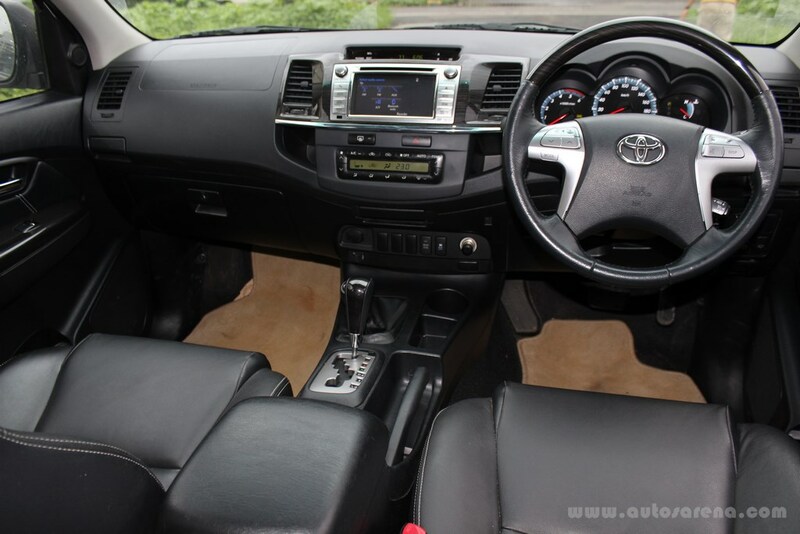 Overall interiors are solid with good ergonomics but one strongly remember the Innova because of the similarity. The Fortuner 3.0 4×4 Automatic is powered by the trusted and reliable 3.0 D-4D diesel engine which churns out 171 Ps of max power and 360 Nm @ 1400-3200 rpm. Performance is good for 2 tonne SUV needs some time to zip past the 100 kms mark. The 5 speed automatic gated gear box is quick and if you are looking for quick shifts, it allows you to drive in manual mode in D, D4, D3 and D2. The Fortuner cruises comfortably on the highways and has good high speed stability. 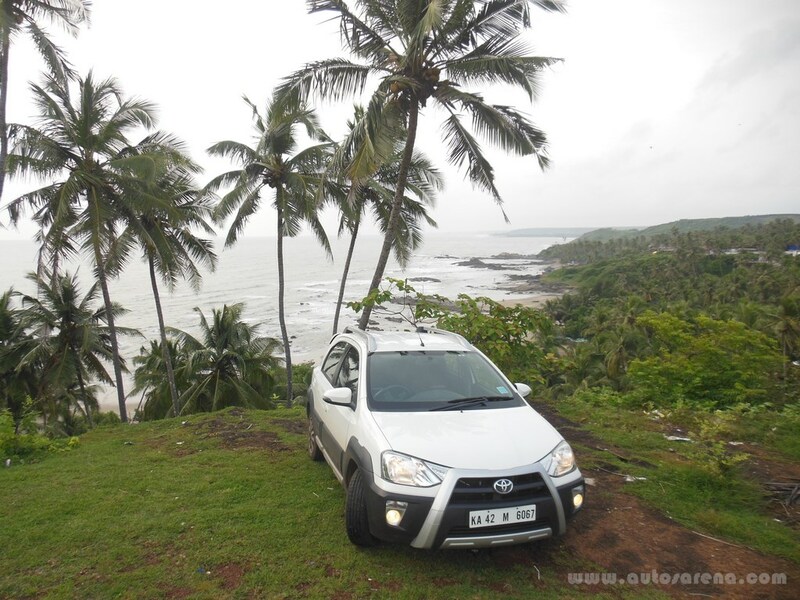 In the city the SUV does give you a bulky feeling and manoeuvring could be a challenge in narrow lanes. We had our fair experience of off-roading mainly driving through slush and mud. 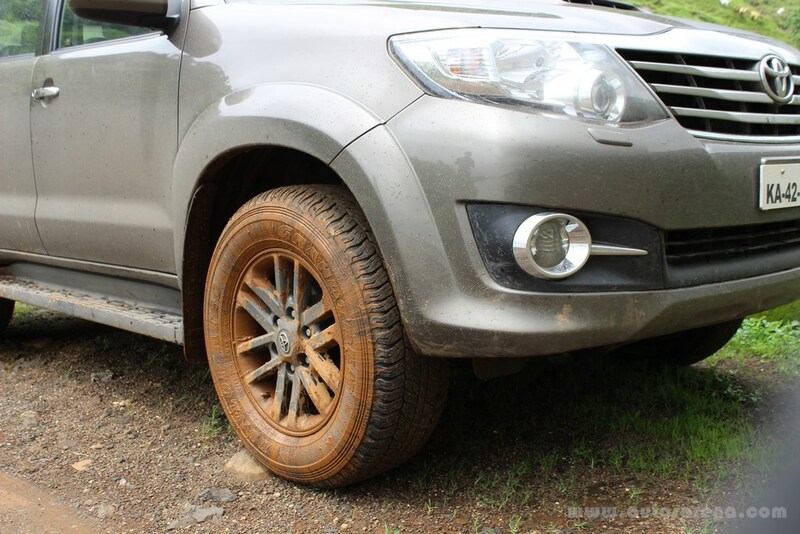 The Fortuner manages to drive through the diffident platforms effortlessly and is quite capable while off-roading. 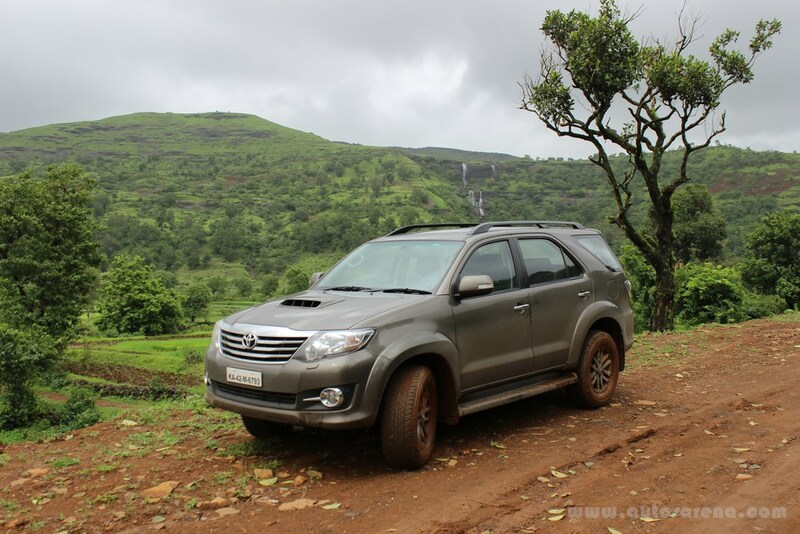 In terms of comfort & convenience, the Fortuner does have a decent list of features. 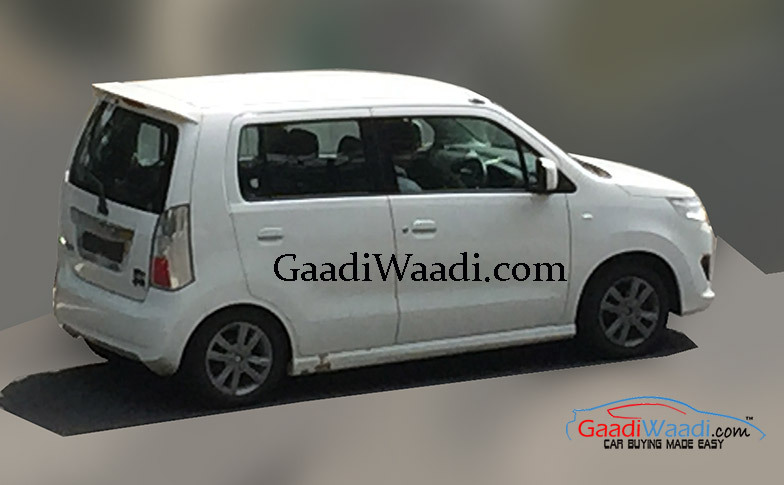 The driver seat is 6 way power adjust while the co-passenger seat can be adjusted manually. 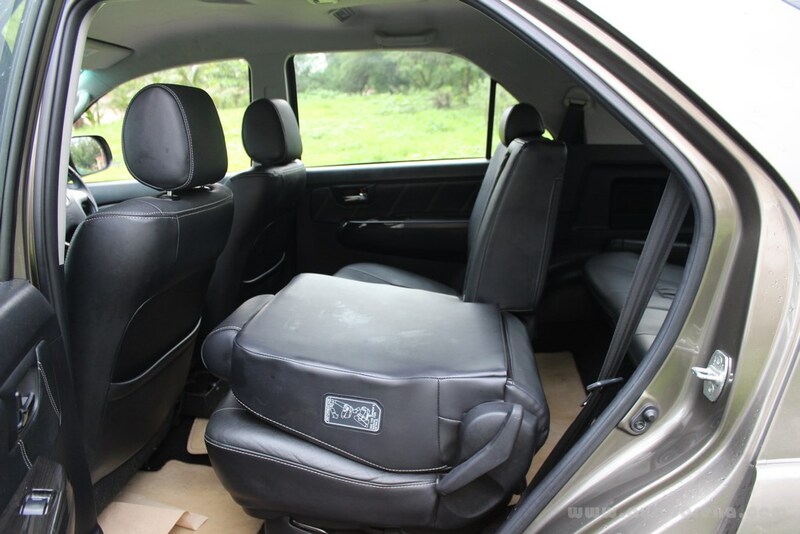 The middle row seats can slide and recline, or can be completely folded in case one is looking for more cargo area. 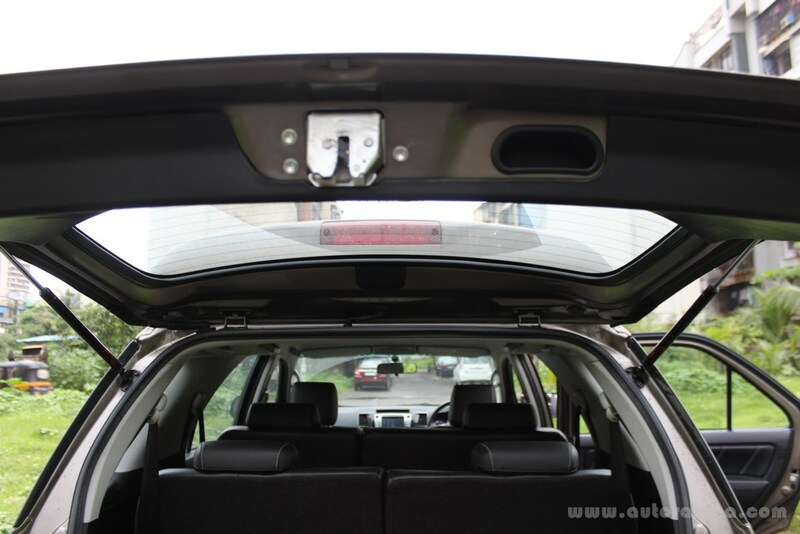 The Automatic Dual air-conditioning is quite powerful and the large SUV cools in few minutes. There are separate vents for 2 row and 3rd row seats with controls. 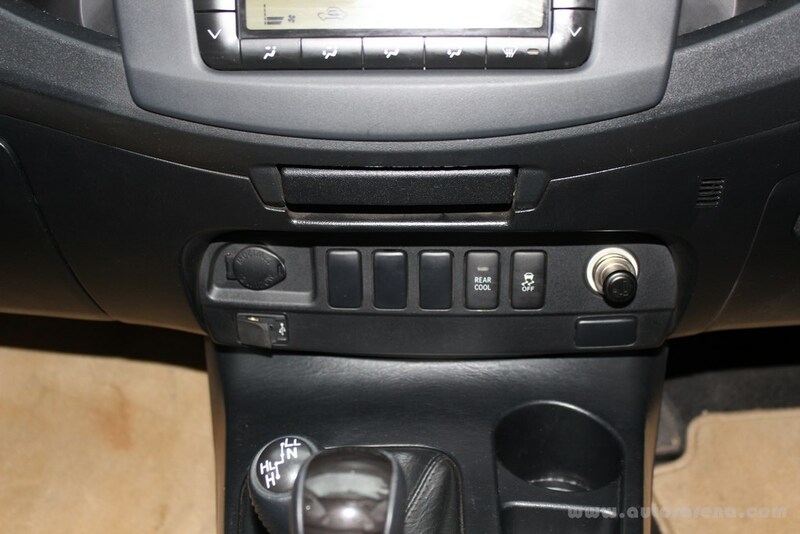 The Fortuner misses on some basic comfort features like keyless entry, steering reach, Auto IRVM and old looking MID. The Fortuner is a safe vehicle but at Rs. 33 lakhs you get only 2 air bags (Driver + Passenger) while most competitors offer 4-8 airbags. Braking performance is enhanced thanks to Anti-lock Braking System with Electronic Brake-force Distribution & Brake Assist. 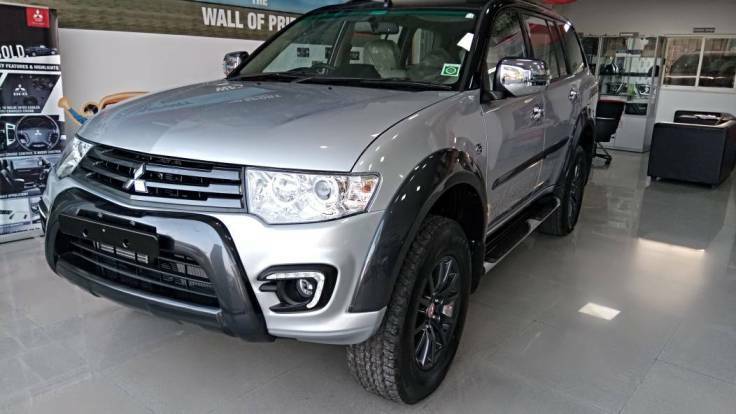 The 4×4 Automatic also gets vehicle Stability Control and Shift Lock System. 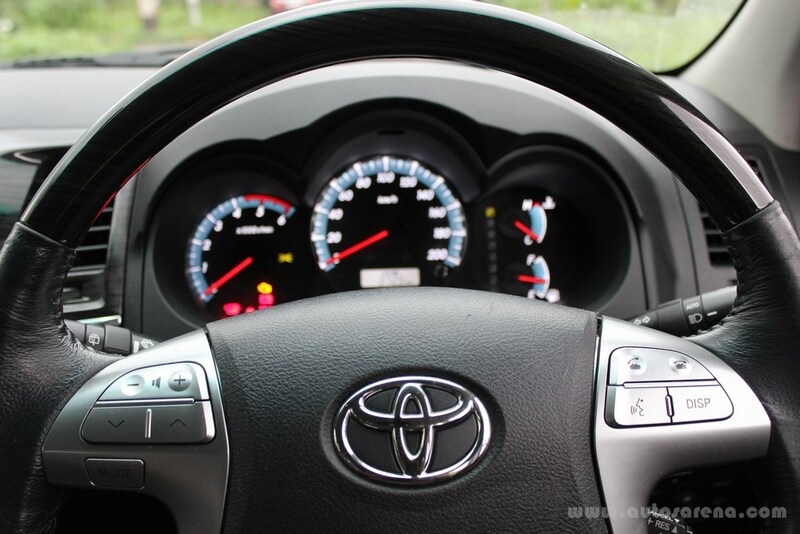 Toyota has maintained a very good reputation when it comes to its after sales service and has its presence in almost every city and town. 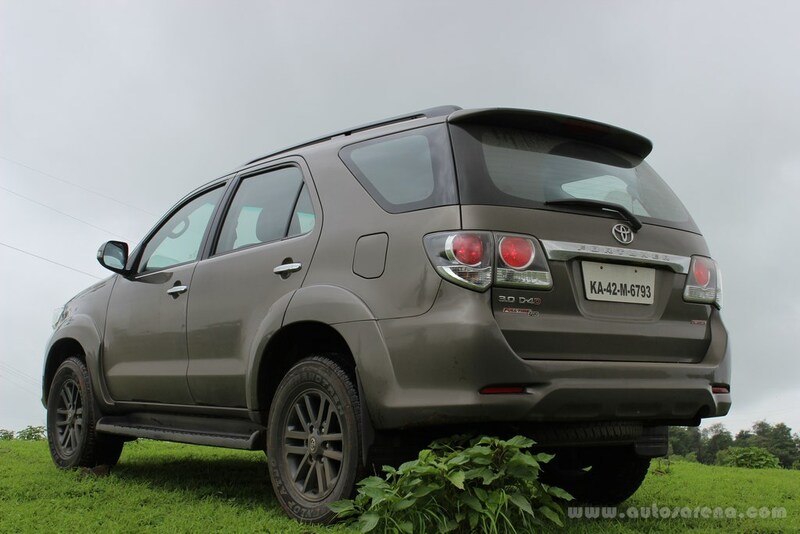 The Fortuner has been ruling the segment despite missing on certain features. At Rs. 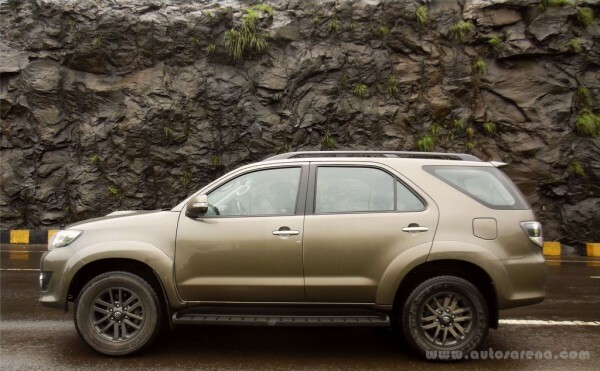 30 lakhs plus the SUV seems a bit pricey, but the Fortuner comes with Toyota’s bullet proof reliability, excellent after-sales service and a good diesel engine making it the best buy SUV in this segment. Ease of maintenance and low cost of service are additional points to consider.